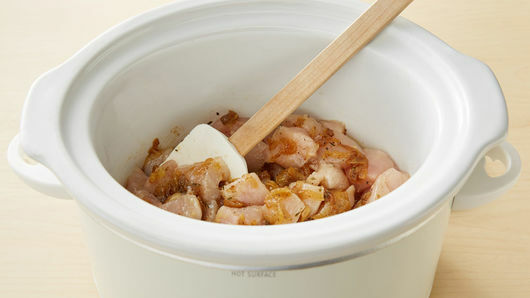 Spoon onions in 3 1/2- to 4-quart slow cooker. 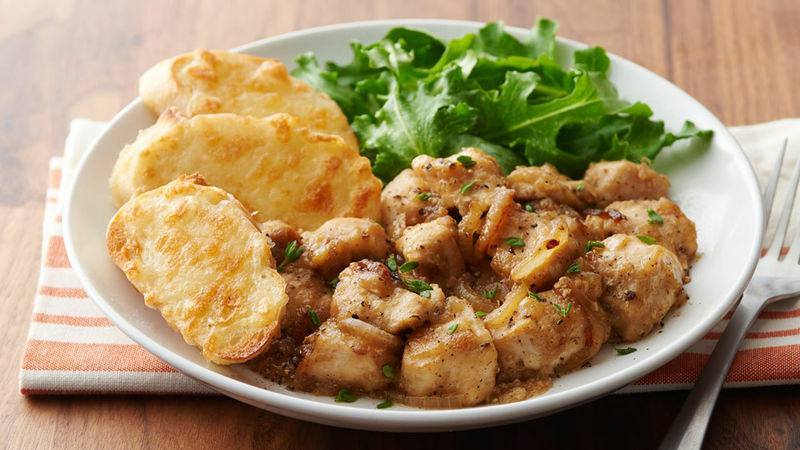 Stir in chicken. Cover; cook on Low heat setting 2 to 3 hours or until chicken is no longer pink in center. In small bowl, stir cornstarch and water until well blended. Stir into chicken mixture. Cover; cook on High heat setting 5 to 8 minutes or until thickened. Meanwhile, set oven control to broil. Line cookie sheet with foil. Arrange baguette slices in single layer on cookie sheet. 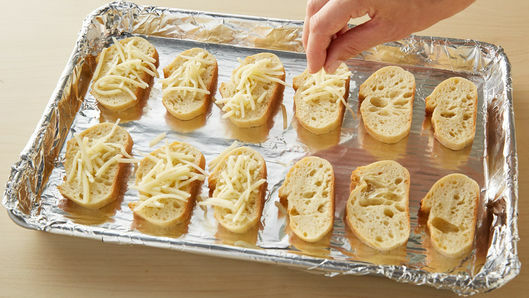 Sprinkle baguette slices evenly with cheese. Broil 3 inches from heat 2 to 3 minutes or until cheese is melted and edges are golden brown. Serve with chicken mixture. Sprinkle with additional fresh thyme, if desired. 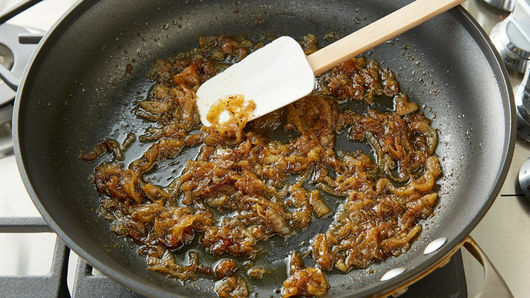 Look for Vidalia, Walla Walla or any other sweet onion in your local grocery store. For a richer flavor, substitute shredded Gruyère cheese for the Swiss cheese in this recipe.